The Craig has long been our most popular 3 bedroom home, but why is this? We've asked our customers, visitors, and even our Sales Advisors to shine a light on what is so special about this home. 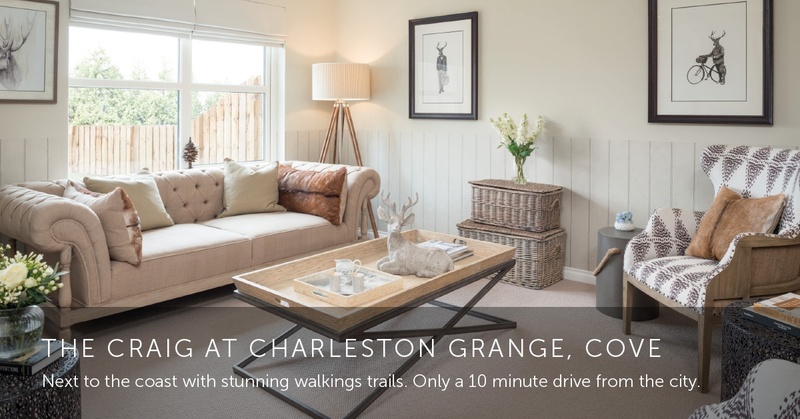 The Craig is an extremely spacious 3 bed home. When you enter, you'll find the lounge on your left and the stairs and a WC on your right. You'll then walk through to the open plan kitchen, family and dining area at the back, that has French doors leading out to the garden - ideal for the summer months when the BBQ is on! They say the kitchen is the heart of the home, and this space really is perfect for spending time with family and friends. Through the kitchen there's also a handy utility area, with another door leading out to the garden. Heading upstairs, you'll find two double bedrooms on the right, both with built-in wardrobes, the master bathroom in front of you, and, finally, the master bedroom on your left with an impressive en-suite. 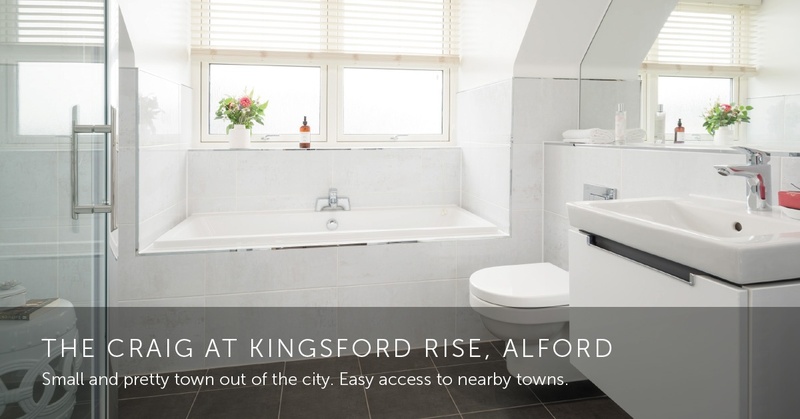 The master en-suite is probably the top thing that blows people away when they come to visit our Craig show homes. It is simply outstanding. You essentially have a master bathroom in your en-suite, with a separate shower and bath. It's also extremely spacious! When visitors enter The Craig, they always comment on how spacious the hallway is. This adds to the feeling of open space throughout the entire home. This home is detached, which is ideal if you're moving up from an apartment or a terraced home. This gives you a sense of having your own space, and more privacy. It also means you don't have to worry about making noise, or having noisy neighbours! In the Craig housetype you'll find large storage cupboards both downstairs and upstairs - which is essential for a busy family home. Having a garage and private driveway is definitely one of the top selling points of The Craig. The single integral garage gives you even more space and flexibility. Some of our customers simply use it as a garage, or a place to store their bikes, kids' toys, or clutter they don't want in the house, but some have actually opted to turn it into a mini gym. The choice is yours. A driveway is also great, especially for those car fanatics out there who enjoy cleaning their cars at the weekend! Keeping your washing machine and tumble dryer away from the main living space is ideal, and The Craig allows you to do this with the separate utility room next to the kitchen. You could even turn this into your dog's living space, like we've done in one of our show homes! Come and experience The Craig for yourself. 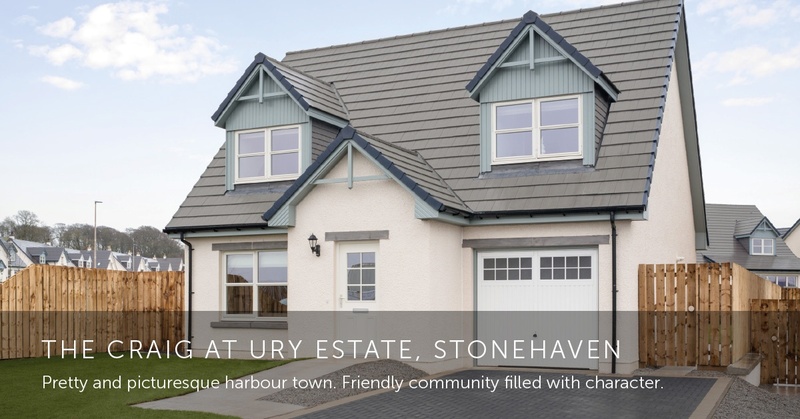 We have two Craig show homes - one at our Ury Estate development in Stonehaven, and another at our Charleston Grange development in Cove. 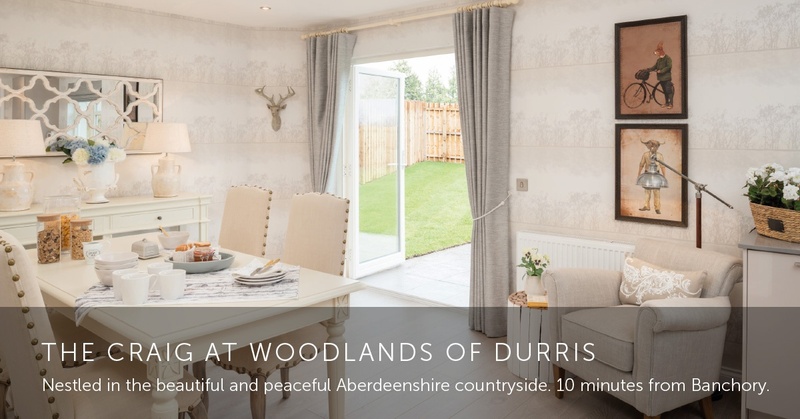 We have Craig homes available to buy at a few of our developments around Aberdeenshire, including Woodlands of Durris, Kingsford Rise in Alford, Ury Estate in Stonehaven, and Charleston Grange in Cove. Click on one of the images above to take a look. The Kirkwood Homes team has opened the door to their brand new show home at Ury Estate in Stonehaven - the three bed detached Craig. © Copyright 2019 Kirkwood Homes. All rights reserved.